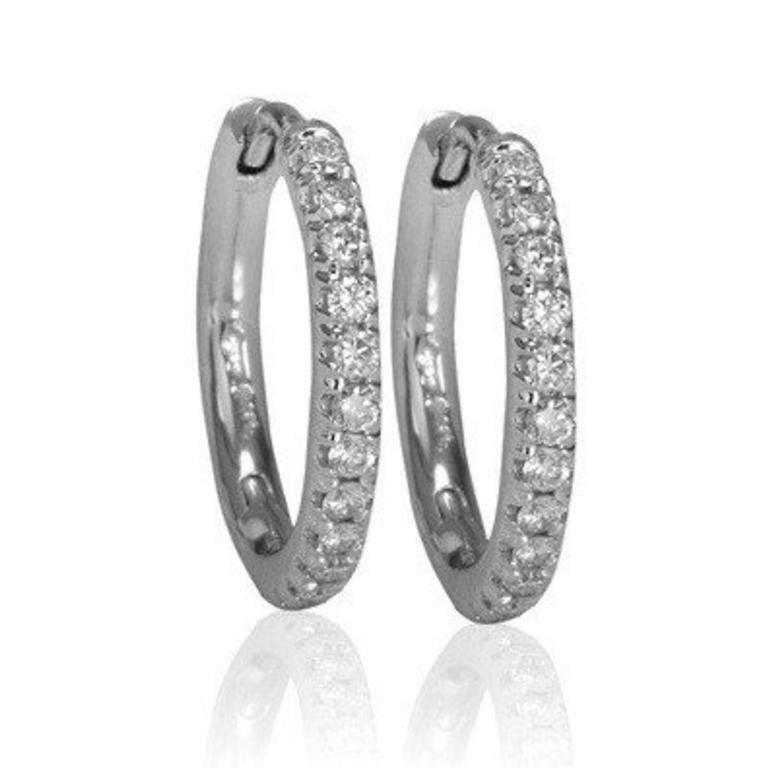 Ladies diamond pave hoop earrings of classic styling. 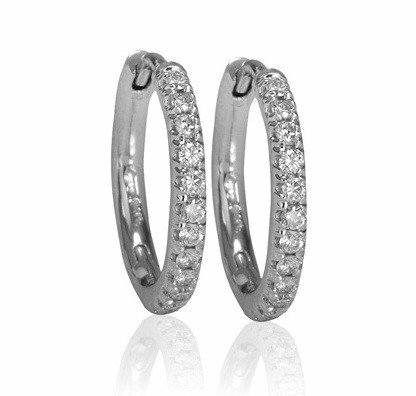 The hoop earrings are crafted in 14k white gold and set wtih round brilliant cut diamonds that are micro pave set. They secure with post and hinge closures (huggie style).